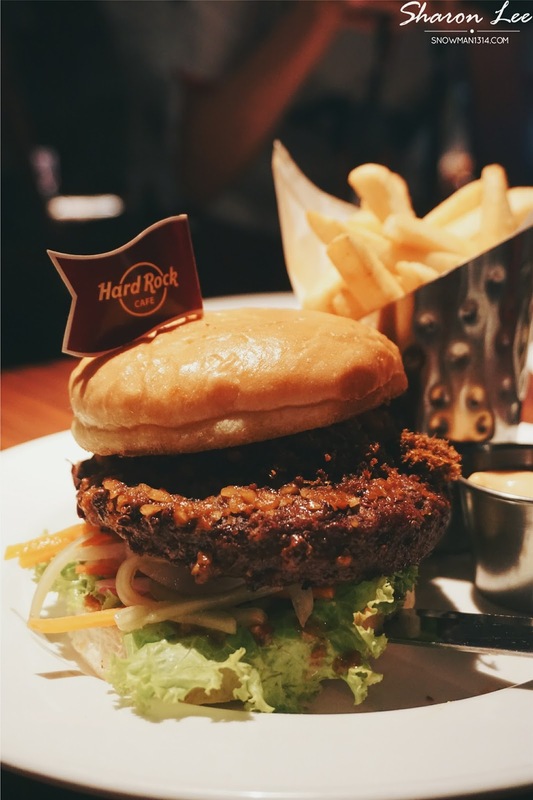 Hard Rock Cafe has recently launched new menu and I am honored to be invited to try out few of their popular item that including Serunding Burger, Cauliflower Burger, Atomic Burger, Java Lava Burger and Pasta Arrabiata have earned a spot on Hard Rock’s core menu. Be sure to check out and try out their new menu food at Hard Rock Cafe branches in KL, Malacca, and Kota Kinabalu. These popular menu items have moved from cult favorite to center stage as a result of consumer demand during popular in-restaurant activations including the Vegetarian Menu, World Burger Tour, and Burger & Beer Pairings. 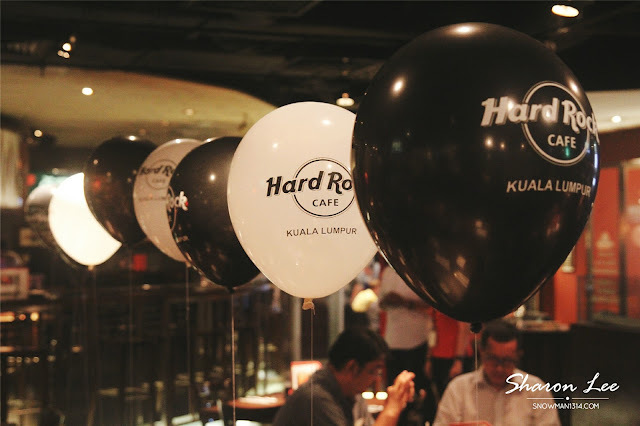 I bet you won't mind having a celebration here at Hard Rock Cafe because the day we went is full-house. 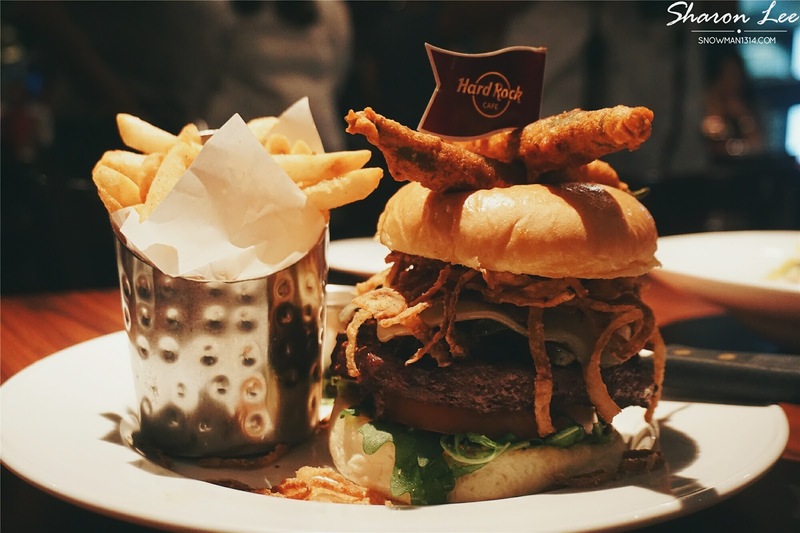 Everyone is enjoying their night at Hard Rock Cafe with burgers and beer. It was really quite happening and I've enjoyed myself that day too. 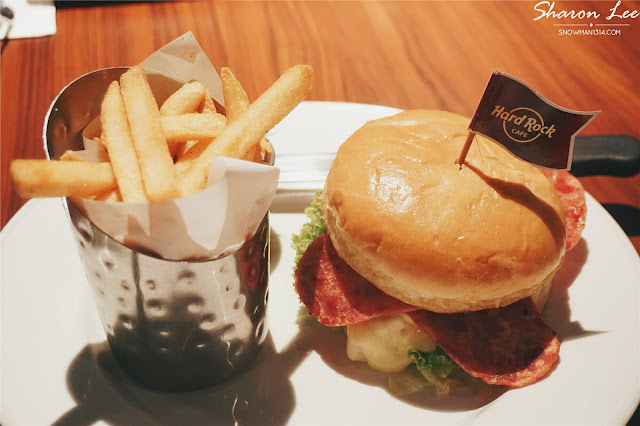 My first time visits Hard Rock Cafe at The Concorde Hotel. 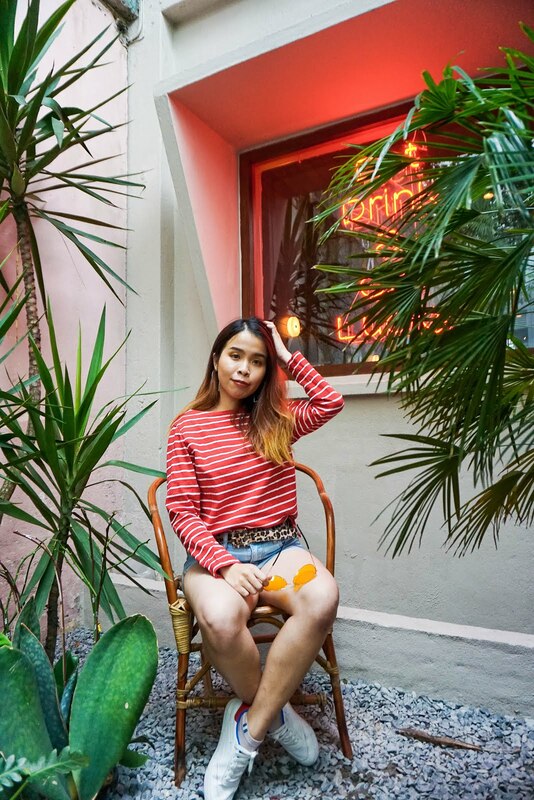 When I first go into the cafe, I feel that I was passing through a memory lane where you can see a lot of 80's 90's rock music collection designed in every corner of the cafe. 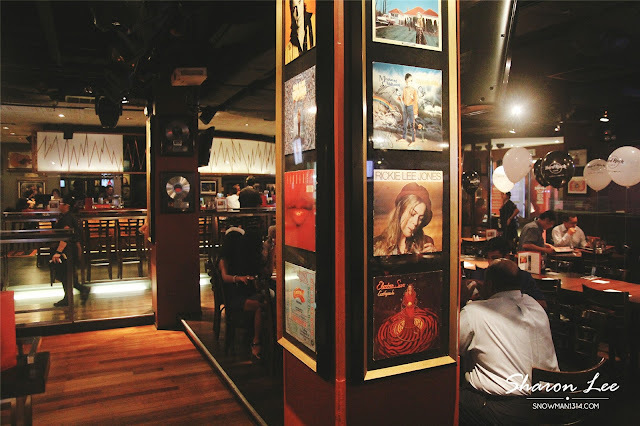 As a fan of music, the ambiance and decor in Hard Rock Cafe were definitely has attracted me. 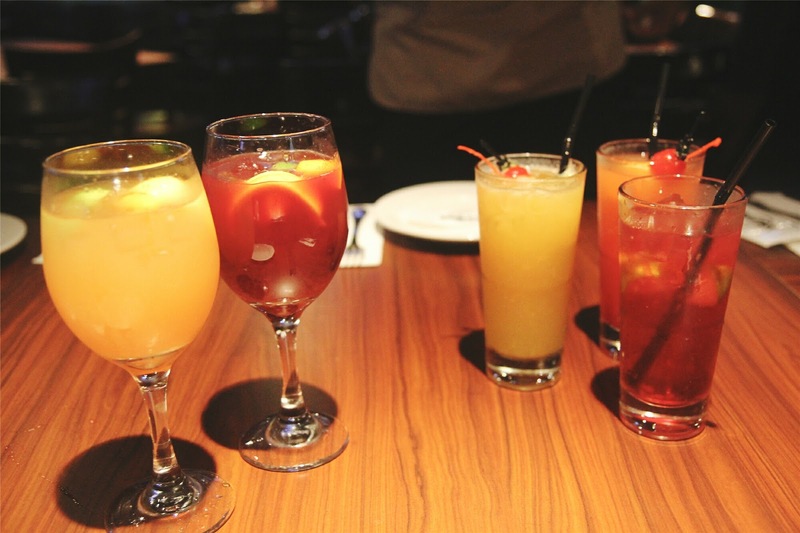 Our drinks of the night! If you are a fan of mix alcohol drinks, this might be the perfect choice of drink on a Friday night. 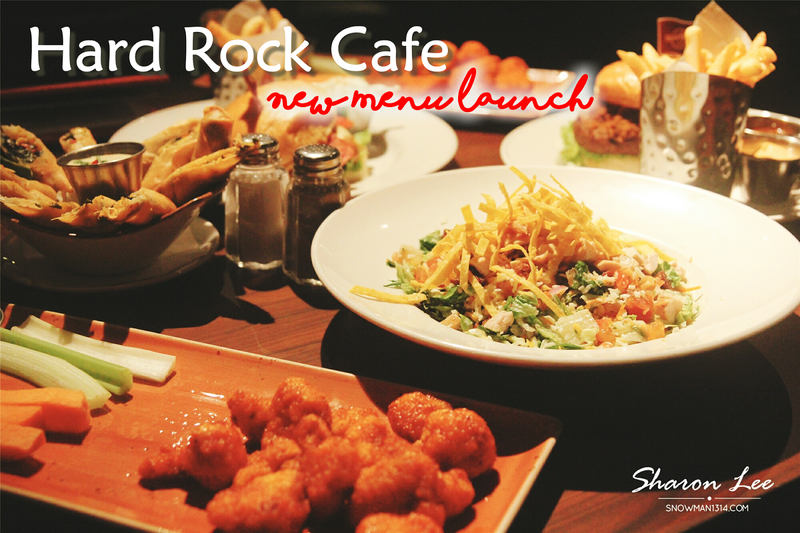 With their new menu launch in Hard Rock Cafe, there is a total of 11 new dishes added to their core menu. From Appetizer to the Main dish such as Burgers and Pasta too! 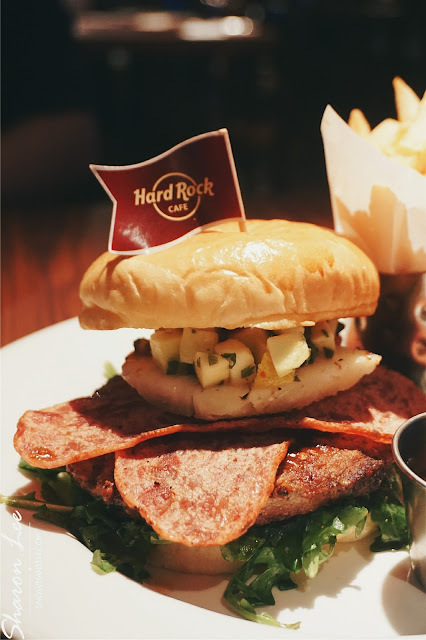 A Cheddar cheese burger in paradise made with grilled pineapple, jalapeno mango, salsa, turkey bacon, and arugula complimented with seasoned fries. One of my favorite burger I have enjoyed in Hard Rock Cafe, the mango on top of the patty gives a really refreshing sour and savory taste when you eat it. Not forget to mention, bacon and cheese are one of my favorites must have when it comes to a burger! 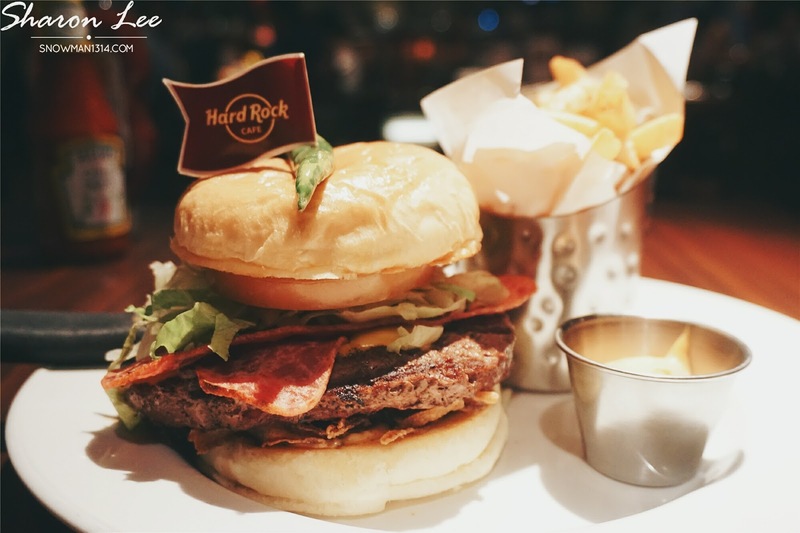 One of their specialty burger you must try at Hard Rock Cafe. Made with in house-made patty of cauliflower, garlic, egg, goat cheese, oregano and breadcrumbs, topped with zucchini, squash, Monterey Jack cheese, arugula, tomato and garlic aioli, served on a toasted bun. The Cauliflower is deep fried till it was crunchy which was really amazing as you can't really taste it was actually from cauliflower. 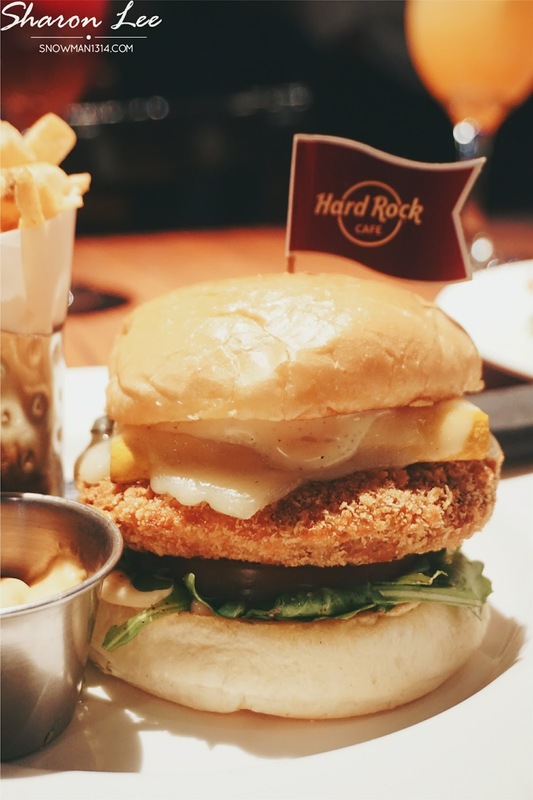 Yeap and it's only available at Hard Rock Cafe! Another burger that is on my recommended list! 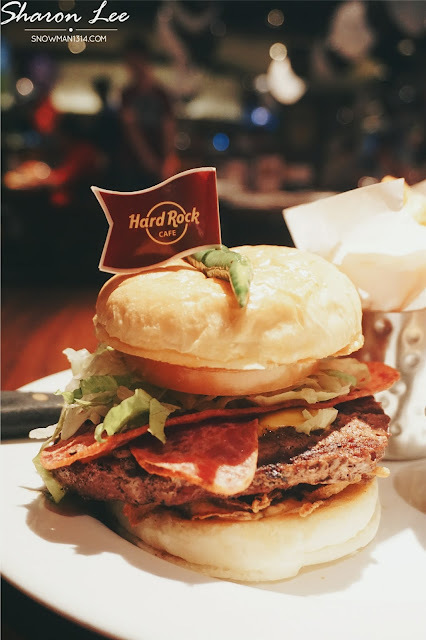 A local serving that only can be found and eat it at Hard Rock Cafe. The burger was prepared with local flavor and flair, our “Local Legendary” is unique in each of our cafes! In Malaysia, the term serunding refers to meat floss instead, it can be mixed with grated coconut or not. Curious on how the taste will be like? Make sure to order and try it at Hard Rock Cafe. Yummy beef patty grilled and dressed in a house-made espresso rub. It was also topped with lava sauce, crunchy java onions, bacon, melted Cheddar cheese and garnished with a fried jalapeño. One of a kind of spicy burger that you should try. 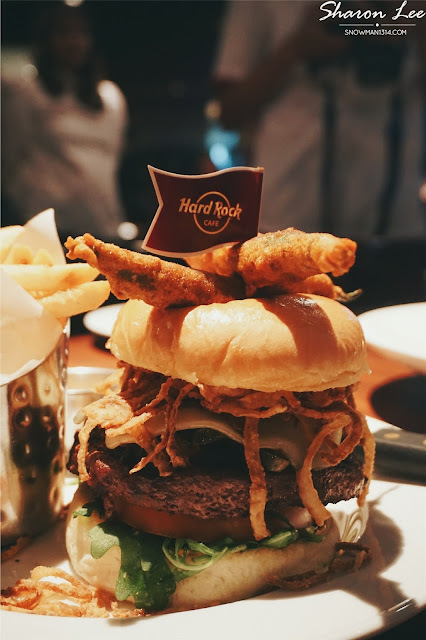 Beef patty topped with spicy fried onions, fried jalapeños, Monterey Jack cheese with arugula, vine-ripened tomato and Atomic ketchup. Want spicier and couldn't get enough with the Java Lava burger, you may order this base to your liking. The spicy and savory moment in your mouth which pretty much explodes in your mouth when you eat it. Toasted bun with honey mustard, topped with grilled chicken, smoked turkey bacon, melted Jack cheese, Dijon mayonnaise, iceberg lettuce and a slice of vine-ripened tomato. 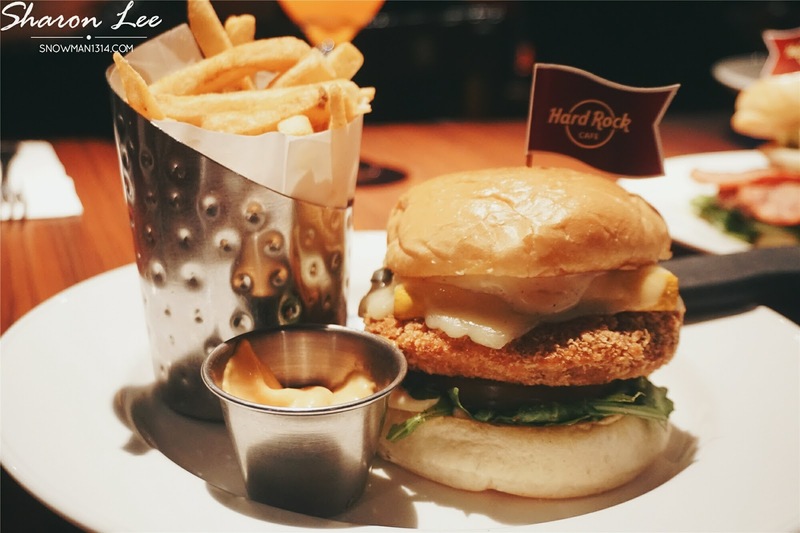 If you are not a fan of Burger, fret not as you can also enjoy Pasta serving at The Hard Rock Cafe. 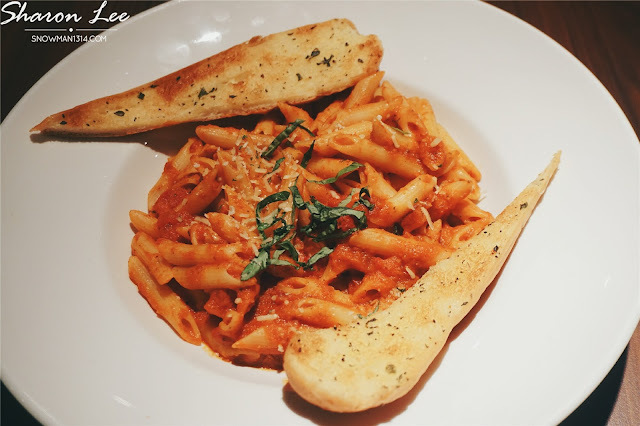 Penne pasta tossed with a fiery fresh tomato and garlic sauce with seasonal vegetables, fresh chili, and olive oil. Served with oregano, Parmesan cheese, and garlic toast. One of my favorite appetizer! 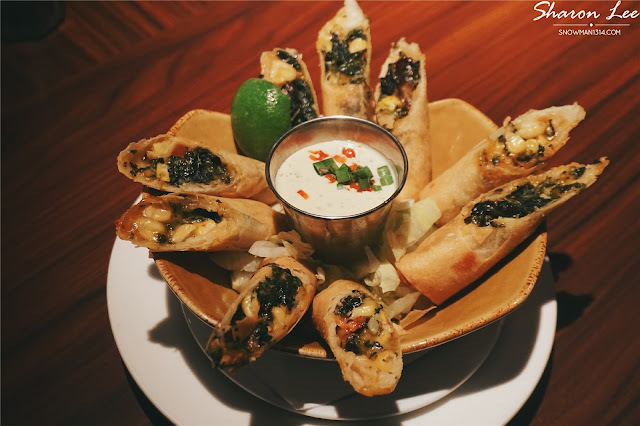 An assortment of Southwestern style spring roll, which is stuffed with spinach, black beans, corn, jalapenos and mixed cheese. Served with crispy shredded lettuce with a side of guacamole-chipotle ranch dressing, topped with diced red pepper and green onions. Taste wise is really delicious which it mix taste of cheese, black beans, corns, and jalapenos. 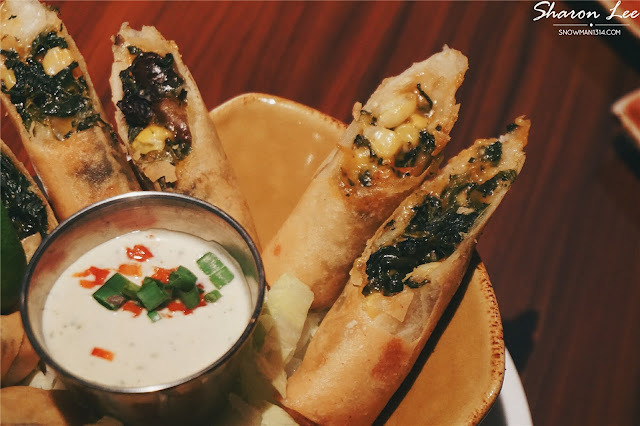 The dressing matches perfectly with the spring roll, plus it was really addicting to eat it too. 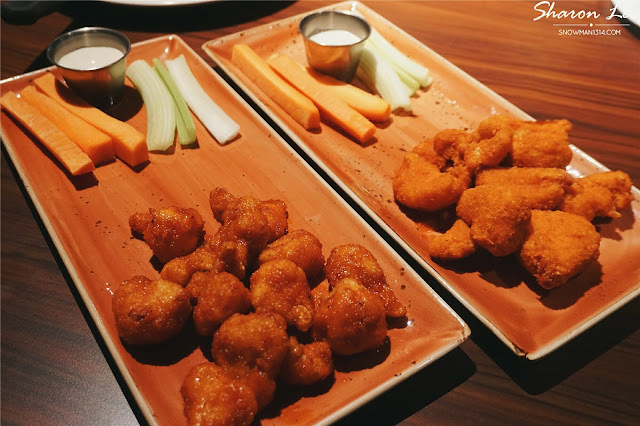 A crispy Buffalo-style cauliflower served with bleu cheese, celery and carrot sticks. 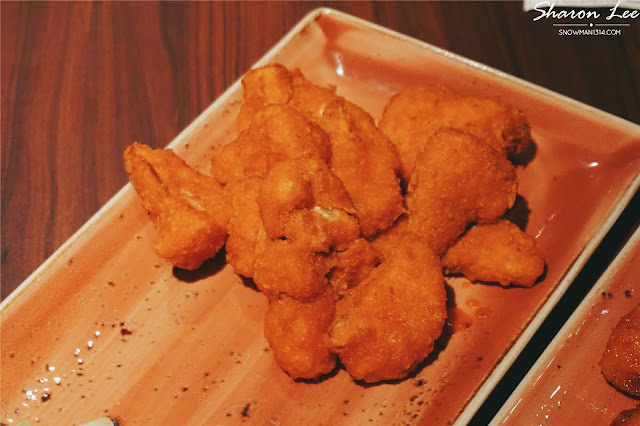 I was really surprised with the texture of this cauliflower wings. It was crispy the outer and crunchy inside too. Which at first I thought it was chicken but it was Cauliflower! Served with original and tangy flavor, one is the normal savory taste and another is slightly sour and more appetizing to enjoy it. 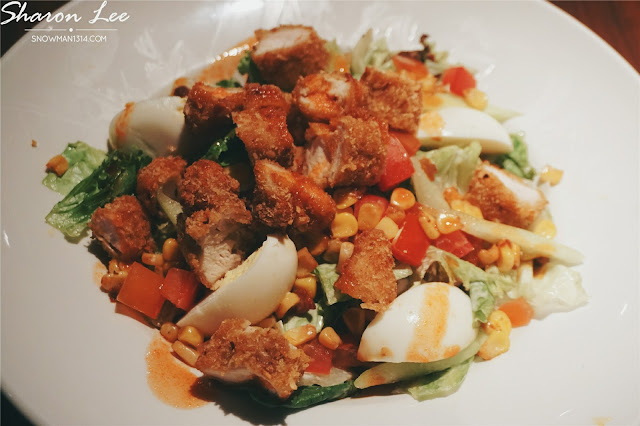 Feeling more healthier and healthy eating, you can also enjoy salad serving at Hard Rock Cafe. 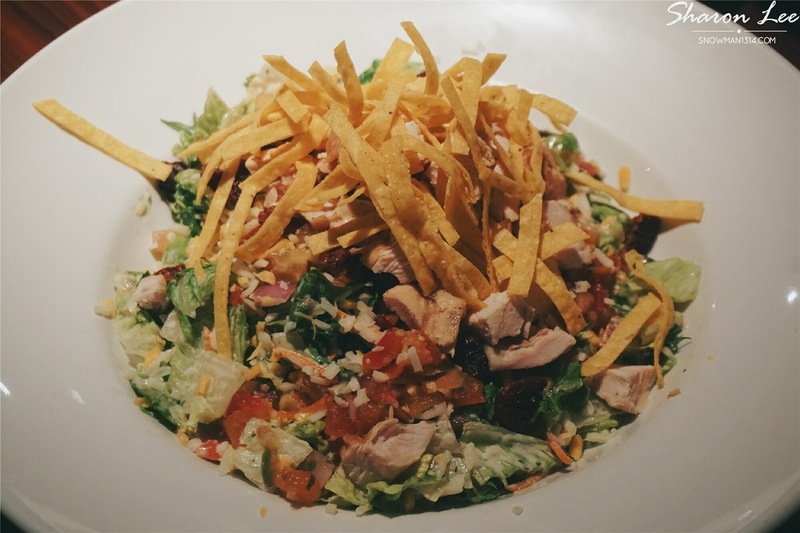 This Hard Rock Special combines fresh mixed greens, carrots, corn, diced tomatoes, pico de gallo and shredded cheese. Topped with Tupelo fried or grilled chicken breast. Tossed with ranch dressing and topped with spiced pecans and crisp tortilla straws. Fresh field greens and kale tossed in a vinaigrette with vine-ripened tomatoes, turkey bacon, roasted corn, pecans and hard-boiled egg. 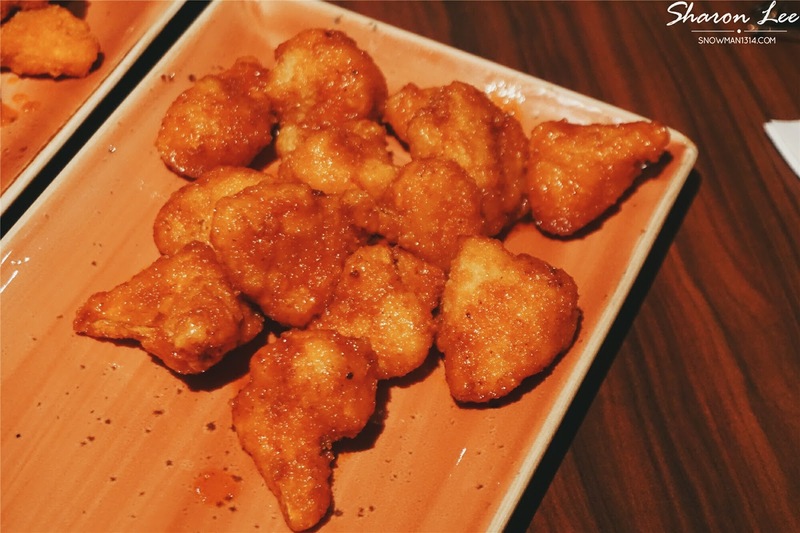 Topped with Southern fried chicken, and a tangy barbeque drizzle. Enjoy the thick, juicy apples mixed with the finest spices and baked until golden brown. 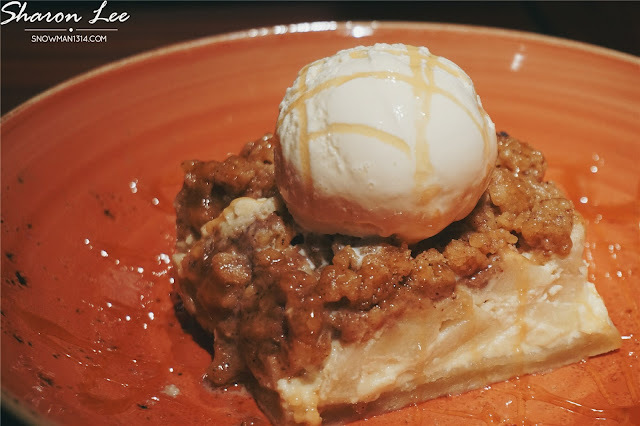 Their fresh apple cobbler is so good you’ll think your grandmother made it! Served warm with vanilla ice cream, topped with walnuts and caramel sauce. Overall experience with all those burgers and food they serve at Hard Rock Cafe are really eye opened! Not forget the localized serving they have which is really creative and innovative. 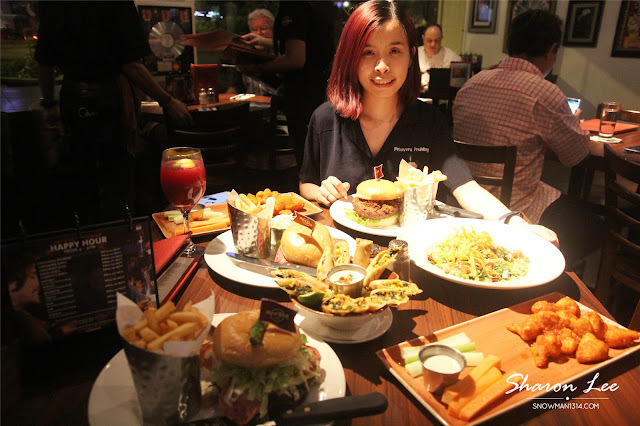 My first experience never failed me as I enjoyed the food there as much I enjoyed the ambiance at Hard Rock Cafe too. Don't worry that all the food are available at all time. Guests can stop by Hard Rock Cafes in Kuala Lumpur, Melaka and Kota Kinabalu to experience the latest menu offerings. No 2, Jalan Sultan Ismail, 50250 Kuala Lumpur. 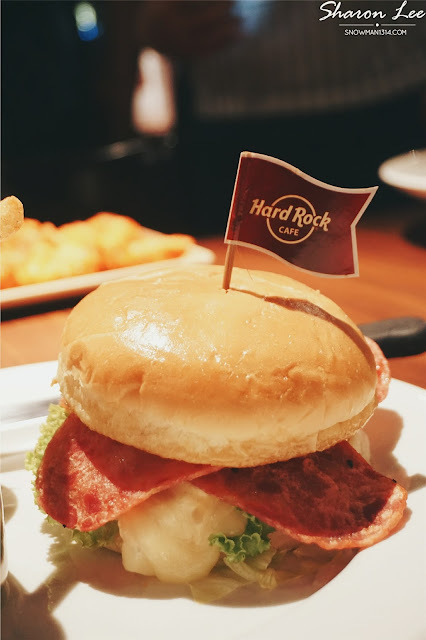 With venues in 75 countries, including 176 cafes, 23 hotels, and 10 casinos, Hard Rock International (HRI) is one of the most globally recognized companies. 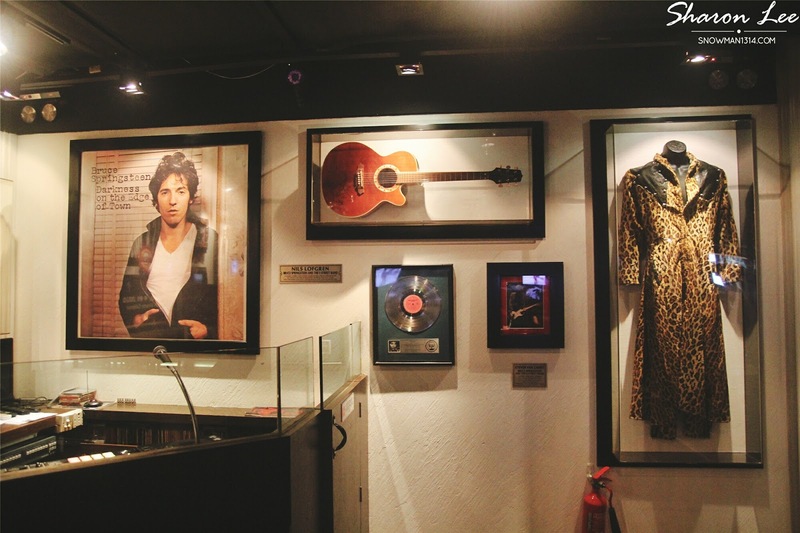 Beginning with an Eric Clapton guitar, Hard Rock owns the world's greatest collection of music memorabilia, which is displayed at its locations around the globe. 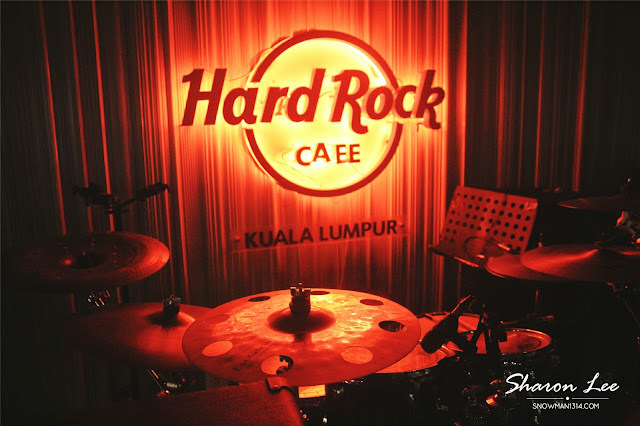 Hard Rock is also known for its collectible fashion and music-related merchandise, Hard Rock Live performance venues and an award-winning website. HRI owns the global trademark for all Hard Rock brands. The company owns, operates and franchises Cafes in iconic cities including London, New York, San Francisco, Sydney, and Dubai. HRI also owns, licenses and/or manages hotel/casino properties worldwide. Those burgers looks so scrumptious. I think I'm gonna try out their burger when I visit. From all above, I think I want to try the Haystack Chicken Salad. looks crispy the chicken. Serunding burger??? Whoa! it sounds delicious. They really have a good menu selection. The food look tempting especially the burger. And the portion really big. Love it. The Burgers really look good and Rocks. 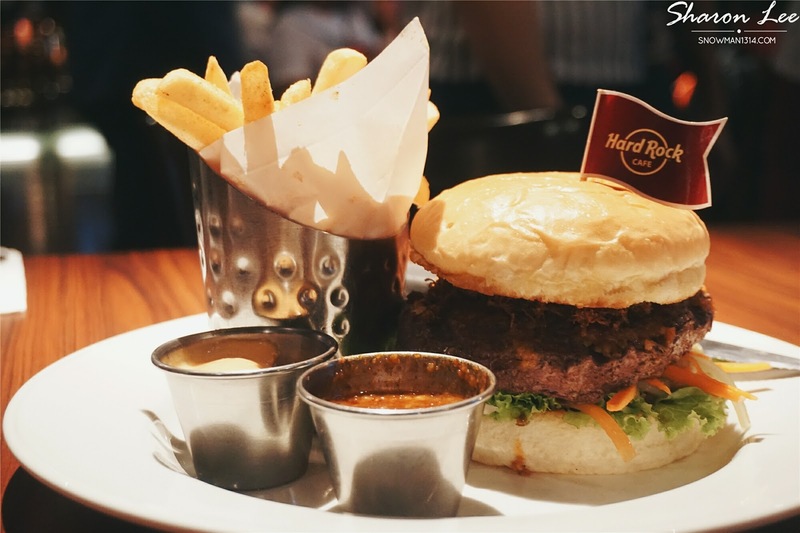 It's had been sometimes after I visited Penang Hard Rock for their awesome Burgers. I thinks is time for me to revisit them in kl pula. KL and Penang branch serve different food though! KL one must visit! 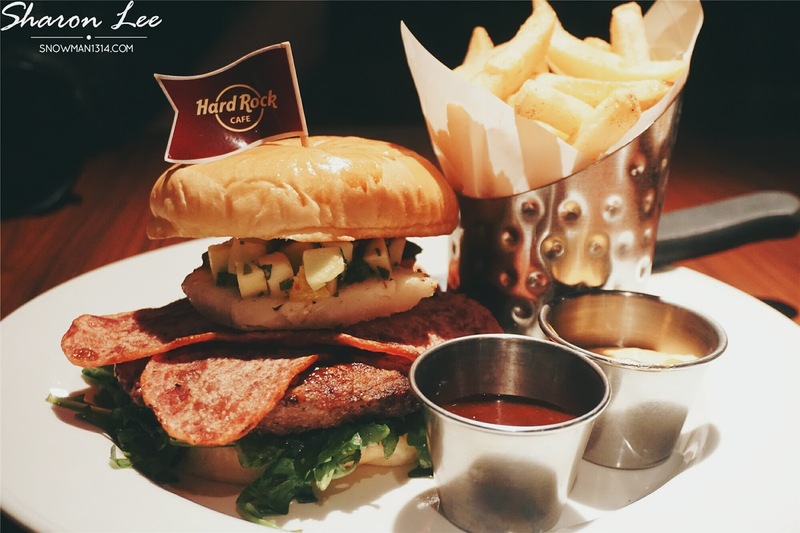 I love to dine at Hard Rock Cafe. When they have a new menu, I always yearn to try. Let's hope I can fit them in when I next go to KL. Look so nice. So hungry now! OMG all the food look so tempting! Wish to try all em! It was really good dear! I will try the Serunding Burger the next time I go to HRC! Thanks for letting me know about the new menu. Last time me and my hb used to hang out at hard rock cafe during the weekend, i like their salad and he love the burgers.